I love to eat and I love a good story. It is rare that you find both in a cookbook. that my family will be eating just as well as his does. 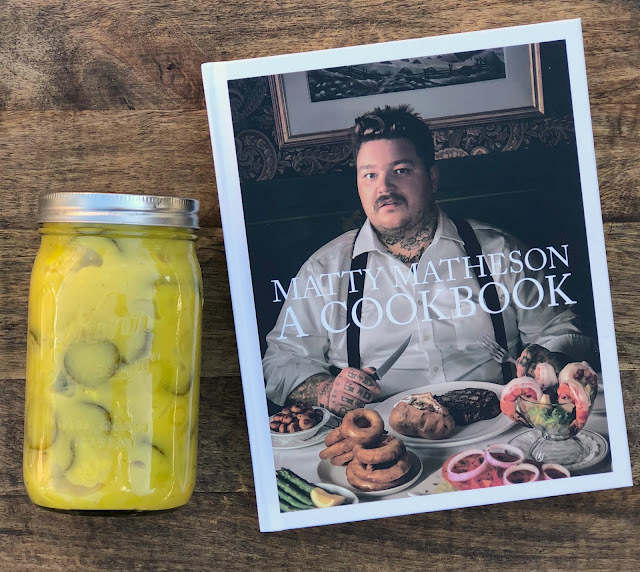 The first recipe that caught my eye are his mother's Mustard Pickles. 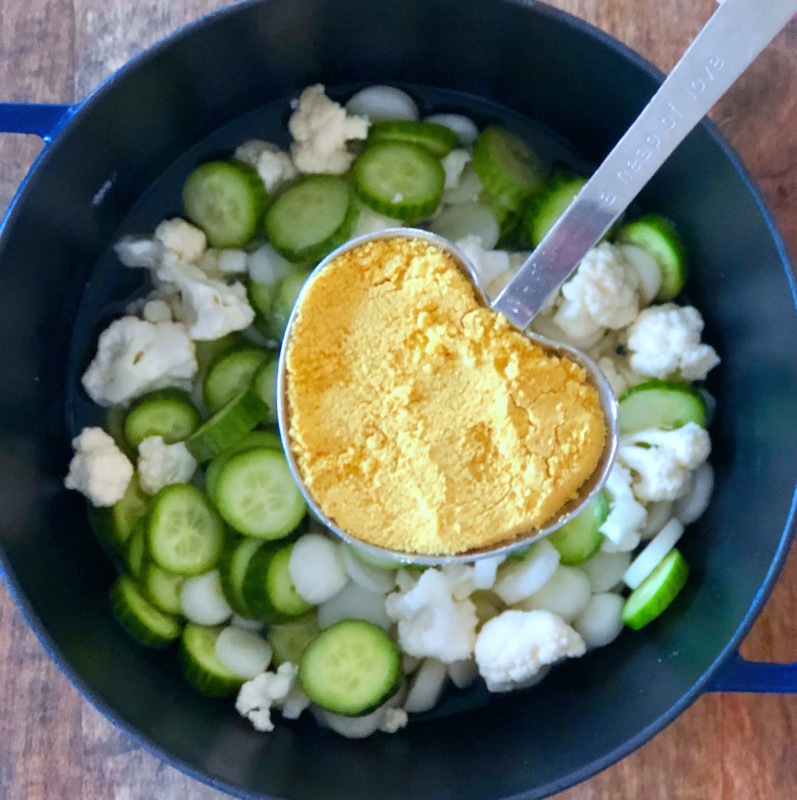 It is easy to make, beautifully vibrant to look at and perfectly spreadable on so many things. Matty talks about how his mother likes it by itself on a sandwich. 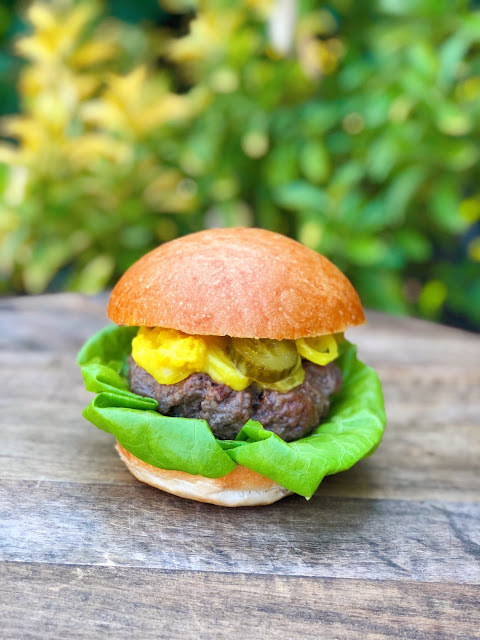 Your burgers will thank you! 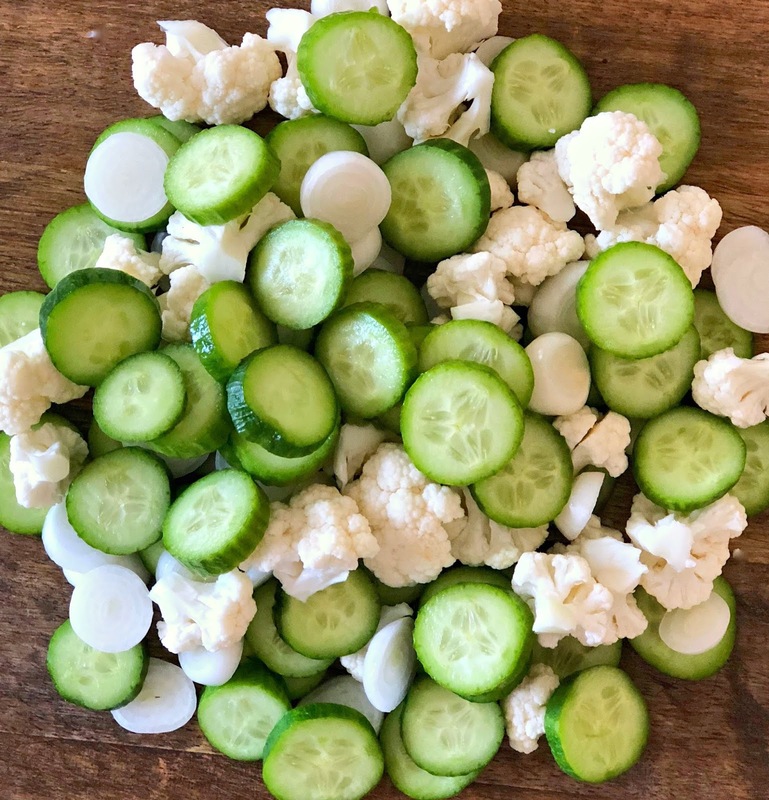 In a large pot, place the onions, cauliflower and cucumbers. add the vinegar, sugar, mustard, tumeric and salt. Simmer gently until tender, about 15 minutes. Turn off the heat. In a small bow, combine the cornstarch with about 2 tablespoons water to make a slurry, then whisk the slurry into the vinegar mixture. 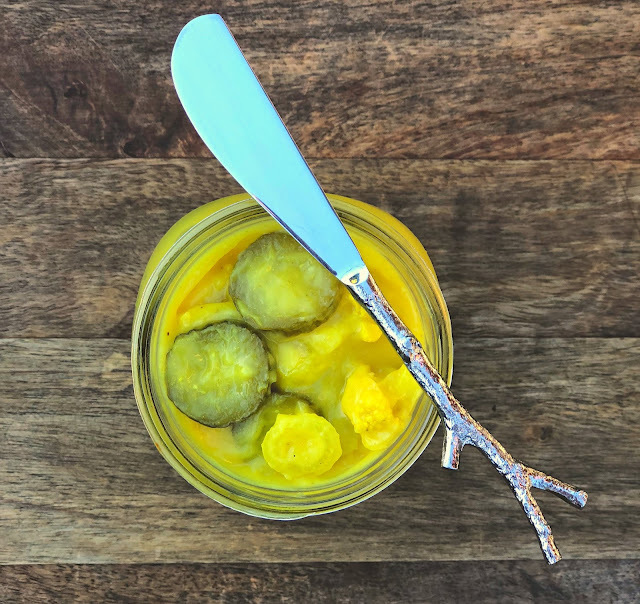 While the mixture is hot, pour into the Mason jars, cap them, and listen for the "doink" when the cap is pulled in by the cooling of the pickles. After about 15 minutes, test the tops with a gentle push to make sure they are sucked in. Don't worry. For any that aren't you can refrigerate or reheat and re-cap. Store your pickles in a cool, dry, dark place. There is no need to refrigerate until opened. Thank you to ABRAMS Books for sponsoring this post and for sending me an advanced copy of Matty Matheson, A Cookbook. I am part of the ABRAMS Dinner Party so there will be more wonderful recipes to come.